hooking up a hot dog cart? Not that much, it's actually pretty simple, but if you haven't ever pulled a trailer, some of the terms and equipment may sound foreign. This little episode will have you hooked up and towing in no time. You might even be able to throw out a little towing lingo next time you stop in at that roadside truckstop. 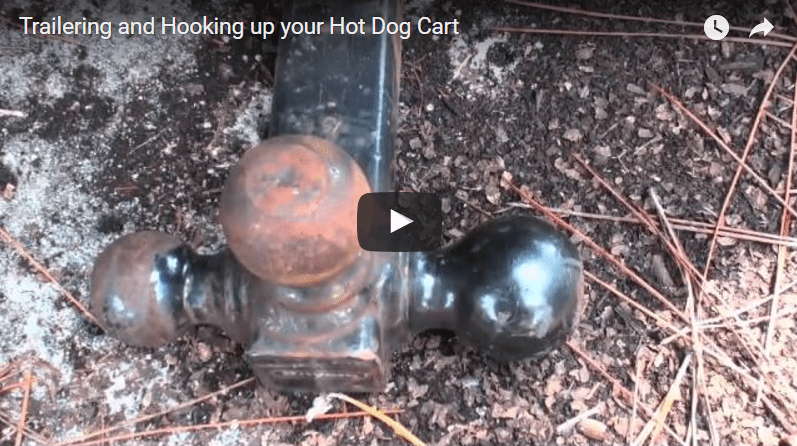 Here are some handy tools to help you, but keep in mind; hot dog carts are relatively easy to push or pull, so trying to back up to hitch it, although good practice, would not speed things up. These helpful hitch accessories are more for the concession trailer types or any trailer that you can't easily move by hand.